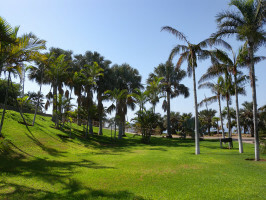 The Palmetum is a botanical garden which comprises 12 hectares, specializing in the family of the palm trees. 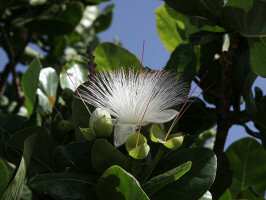 It is a unique project in the world, which has transformed what used to be a landfill area into a space for leisure and botanic studies. 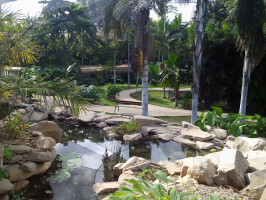 It is a showcase of spectacular vegetation, which is the result of collaboration work with numerous organizations from around the world (Sydney, Havana, Miami, Santo Domingo, among others). 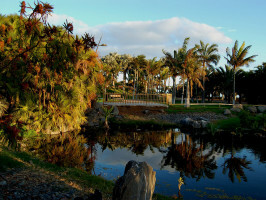 The Palmetum is the only mountain garden on the coast of the city of Santa Cruz de Tenerife. 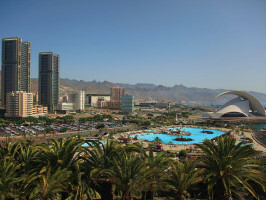 It features a variety of viewing points with breathtaking vistas of the sea, the city and the Anaga Mountain Range (and coming soon, the Biosphere reserve!). 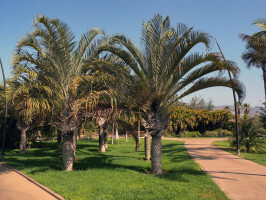 The gardens boast the best collection of palm trees in Europe and also an array of streams, lagoons and waterfalls. Start/opening time: winter: 10am to 6pm, summer: 10am to 2pm and 4pm to 8pm. Others: Last admission in winter at 5pm. Last admission in summer at 7pm. Opening/ Start time: winter: 10am to 6pm, summer: 10am to 2pm and 4pm to 8pm.